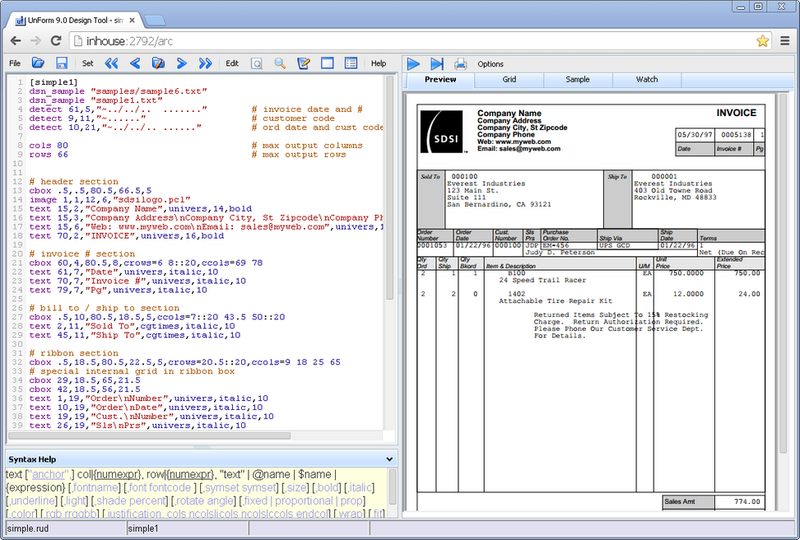 The design tool is an intuitive development environment for creating and editing UnForm rule files. It works in any modern web browser, connecting to the UnForm server to work with rule files and sample documents stored there. The editor provides syntax highlighting, inline help, smart indention, and more. Previews are generated in either HTML5 or PDF format, using samples produced by your application. HTML5 previews are synchronized with the rule set, so it is easy to identify job enhancement elements. For complete details, view the designer help pages.